As great as a dog bed cover can be, it is a necessity to be cautious when you’re looking to buy one. One great feature to look for is an orthopedic memory foam bed. This can help your dog get a good night sleep, especially as it gets older. 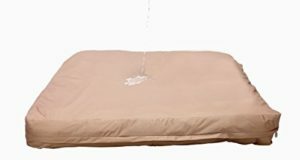 The main problem with many bed covers, however, is that they can stain easily and they must either have a waterproof liner or be machine washable. Whether it is from your dog panting on it, your dog tracking in anything it finds outdoors or from any unfortunate accidents that can occur, all sorts of stains can ruin the quality of any pet bed. This can keep any great-looking bed from being as comfortable as it should be and might make a bed unappealing to your dog. 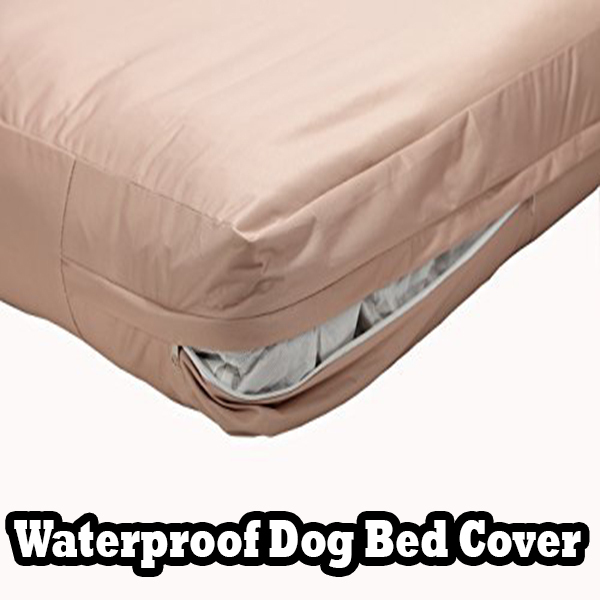 Fortunately, there are a number of waterproof dog bed cover options that you can have in your home. These are made to fit over a number of traditional bed surfaces. They can be added easily onto a bed and can be found in a variety of standard sizes. These will be especially soft and easy for your dog to lie on. It must first be easy to clean off. It can be washed off well but in some cases it might only be cleaned off with hot or cold water. Some models can be wiped off with ease. These are made with smooth bodies that don’t contain lots of pores that might get stuff inside of them. This allows you to clean off pet hair and any kind of stain that gets on the surface. It also has to be easy to add onto your pet’s bed. It can slip into a bed in most cases although sometimes you might have to get a better fit going. You should look at how soft it is and how well it feels. Your dog might have an easier time enjoying this if it comes with a soft surface. One point for certain when finding a great dog bed cover is that there are plenty of options for you to choose from. Here are a few of the more prominent options that you can use. Molly Mutt has made this cover in a number of sizes for many traditional pet mattresses. These include one option for round mattresses. You can wipe the armor off with a towel or you can wash it in a machine with cold water. 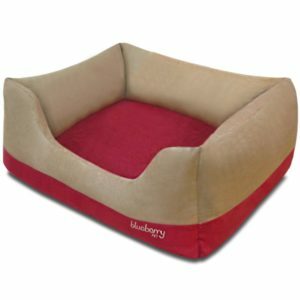 It has a smooth and cool body that doesn’t add lots of weight and is still comfortable for your dog to sleep on. You can quickly add this onto your dog’s bed. Just use the simple opening and zip up the cover over the bed or mattress. You should look at how well this can be organized as it can fit onto many beds although it does come in different sizes. 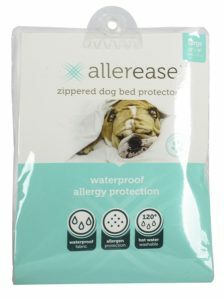 AllerEase has been making a number of hypoallergenic mattress covers for people to use for a while. 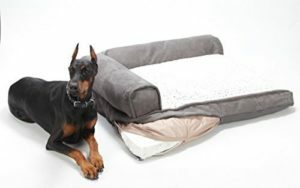 The company has made this particular model for dog beds 35×44 or 36×27 in size. It keeps dust mites, dander, and other common allergens from sticking onto the surface. This is a machine-washable protector. You could wash it with hot water and it will not wear out. 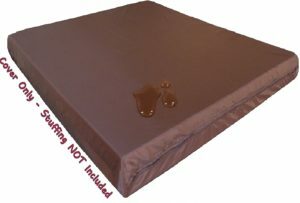 It is also waterproof and can be added onto a bed and secured with a zipper. It retains its ability to control allergens even after you are done washing it. You can order this bed cover from 4Knines in one of three traditional sizes or in a round arrangement. No matter what you order, you will have a bed cover that is easy to install. The fabric is also quiet as it conforms itself to the body of the bed. It will not be overly noisy if your dog moves around on the bed surface. Also, the cross-stitch quilted body of the liner has a heavy duty setup that will not tear up easily. It has a top layer that also takes in a great amount of water and will not stain quickly. This keeps the bed from developing mold or mildew. It will not become discolored all that easily either. This is a powerful bed cover that is capable of fitting over a variety of surfaces. It is available in a number of sizes with the largest being around 59×51 in size. It is versatile in that you can get this to fit over a standard bed or even a series of queen-size pillows. This uses a thick body that is waterproof and does not allow anything to sink in quickly. 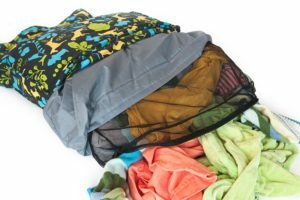 It has a zipper cover with a lightweight Taffeta fabric that is easy to handle. It can be hand-washed as well and then air-dried to help you keep a comfortable body going. This also has a good zipper setup that is comfortable. It stretches well along a bed and can fit well when applied over a series of pillows without being too stuffy or otherwise tough. This next option is a good model that is thick and has a strong body. It has four different sizes and comes in a number of colors. It stretches well over a surface and isn’t too hard to apply. The microsuede surface is soft and comfortable. It has two different colors with the color around the base of the bed being a little different from the rest of the sleeping spot. This can also be washed in cold water to keep it cleaned off right. When finding a great waterproof dog bed cover, be certain that you find a choice that is soft and easy to apply. It should be a choice that is easy for your dog to sleep on. Be certain when finding a great cover that you choose one that isn’t hard to use and will easy for your dog to enjoy.